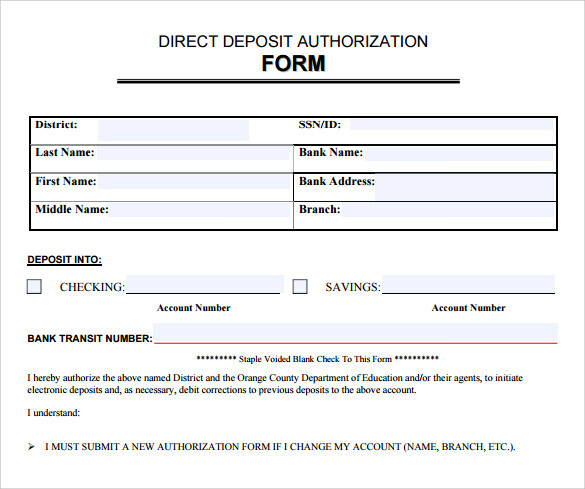 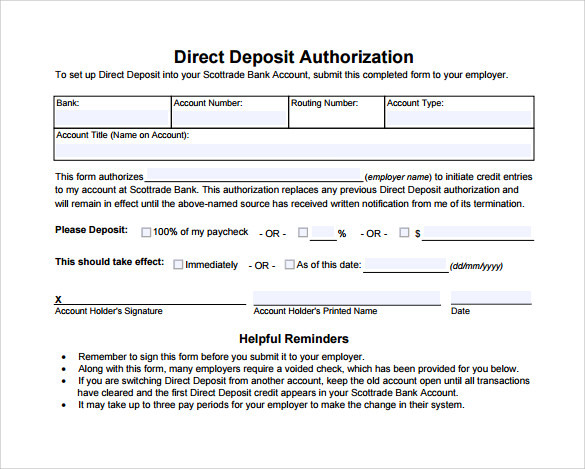 Direct Deposit Authorization forms (also known as direct deposit forms) are mostly used to authorize a particular entity to directly process or credit certain routine credit transaction to a particular bank account possessed by the customer. 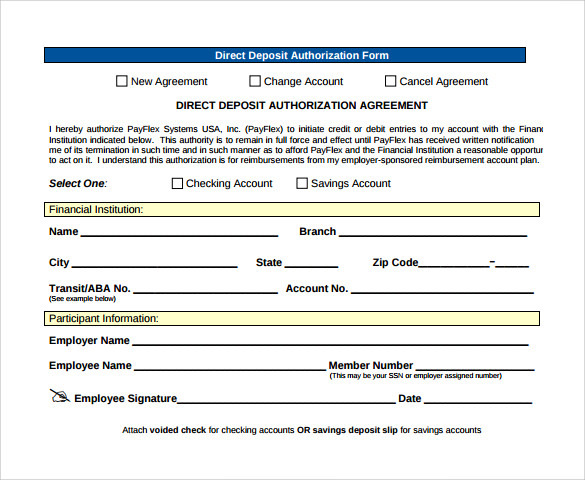 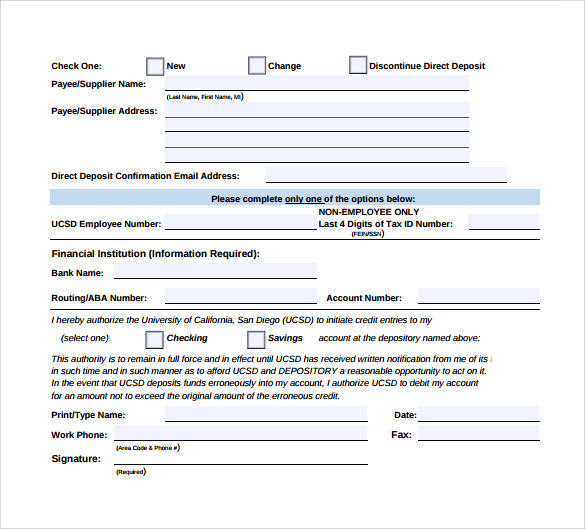 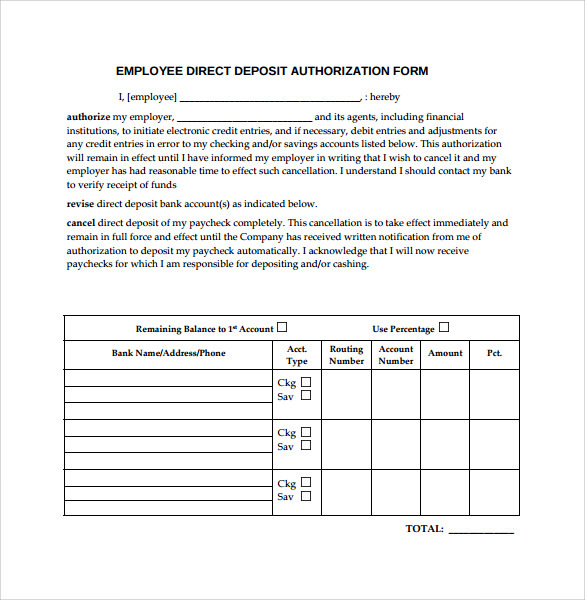 These authorization forms can be used for automatic payroll processing to a certain bank account at the end of each month or any other credit transactions where in the payment would be due in intervals of month. 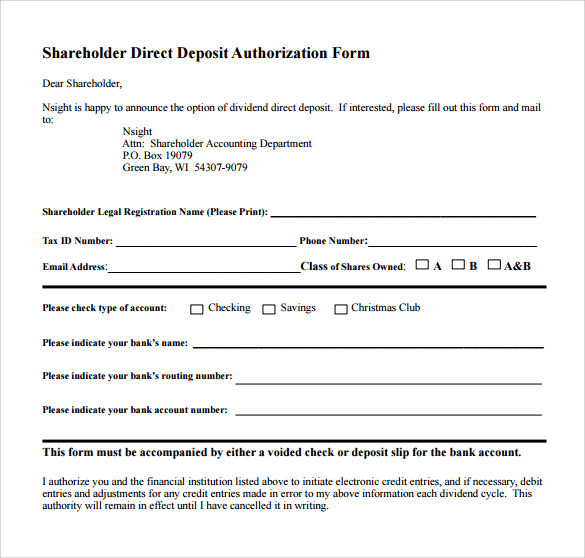 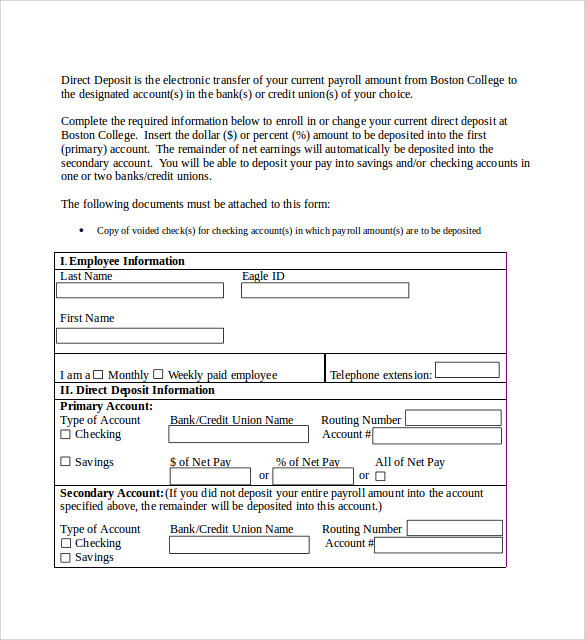 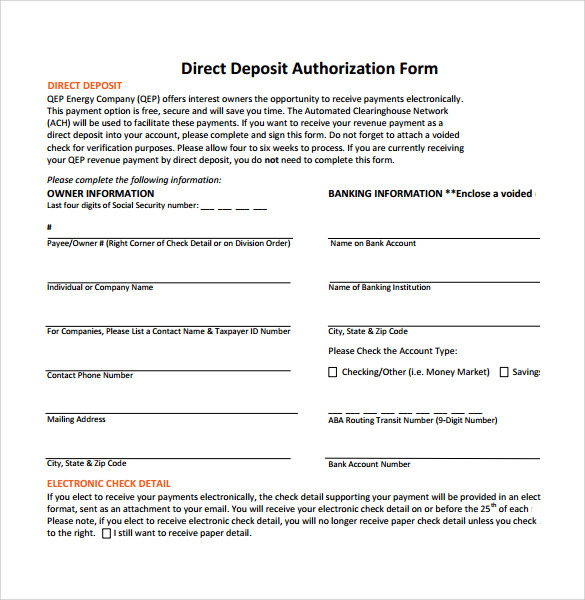 The Sample direct deposit authorization form takes the format of Microsoft Word or PDF containing the customer information, bank details along with the approval signature of both the stake holders.